Olaplex is a breakthrough new product that we’re going nuts for – and we know you will too! At Rick Mosley Hair, our hair color specialists are always looking for the best new products and one just caught our attention in a big way! RMH colorists have been trained that healthy hair is equally as important as beautiful color. We don’t like seeing hair that has been severely damaged by hairdryers, straighteners, color or bleach. We hate telling clients that going blonder will be too harsh on their hair. The good news is, we think a new product called Olaplex will change all of this! Color more often? Have two processes – such as a perm and color treatment – done? Go even lighter? Now we can say yes to these requests without fearing breakage, due to this revolutionary new product. In short, Olaplex is an additive that seeks out hidden damage and reinforces bonds by eliminating the bad reaction oxygen has with broken sulfite bonds in chemically treated hair, making them stronger, more flexible and more resistant to breakage. Our colorists think Olaplex is the most exciting thing they have ever seen developed. The ability to color hair without worrying about damage is revolutionary for clients and job changing for them. Protective Treatment: Done at the same time as color, highlights, balayage, or bleach services at our salon, Olaplex Bond Multiplier is added into your color or bleach formula. This will not impact the color result or grey coverage, however it may slightly increase processing time. Olaplex Bond Perfector is applied after rinsing (and toning, if necessary). It sets for 10 minutes before your hair is rinsed, shampooed and conditioned. Then, Olaplex Hair Perfector should be used at home once a week, to enhance and extend results between appointments. Reparative Treatment: Can be done independently, as a strengthening pre-treatment, or as a restorative post-treatment. Olaplex Bond Multiplier is mixed in a solution and applied to dry hair, combed through, and allowed to set for 5 minutes. Olaplex Bond Perfector is then applied directly over it, without rinsing, and set for 10 minutes, before being rinsed, shampooed, and conditioned. Again, Olaplex Hair Perfector should be used at home once a week, to enhance and extend results between appointments. Both: To give damaged hair the most intense therapy, both of the above can be done. Call our salon today to find out more about this bond multiplier that is dramatically revolutionizing corrective colors and blonding services by eliminating breakage and leaving hair feeling amazing. We’re confident you’ll notice an immediate increase in the health, strength and softness of your hair. You are vigilant about protecting your skin, so why not do the same for your hair? Do you spend your summer swimming, golfing, boating, cycling and more? If so, you probably are used to the constant cycle of your hair getting lighter and drier in the summer and then darker throughout the rest of the year. Aveda’s 16-hour UV defense and recovery Sun Care product line cleanses, restores and protects hair from sun damage. This three-part system moisturizes and helps restore weakened hair without leaving any residue. Plus, the products smell light and citrusy – just like summer! Use this cleanser daily or whenever your hair is exposed to sun, salt or chlorine. It truly is a summer staple, or great if you spend time in chlorinated pools year-round. It even prevents hair from turning the dreaded “chlorine green.” We even recommend our blonde clients use this clarifying shampoo once per week, all year long, to help prevent build up and to keep their blonde from yellowing. This intensive cream masque restores sun-exposed hair, moisturizes and helps defend against free radicals. Apply the masque evenly to damp hair, roots to ends and leave in two to five minutes before rinsing thoroughly. Use weekly or whenever your hair is exposed to harmful chemicals to provide instant revitalization. This lightweight, water-resistant UV defense mist forms an invisible screen to help protect your hair from sun exposure for up to 16 hours, to minimize color fading, damage and dryness. Spray it evenly on dry or damp hair before and during exposure to sun and dry air. Be sure to reapply after swimming to condition and detangle. This trio of great sun products helps lock in moisture to keep color vibrant and hair shiny between appointments – almost as good as wearing a hat without the heat generated by a hat! And the products provide great value because a little goes a long way. These great products even give your hair some texture, and a beachy-like feel while detangling and ridding your hair of fly aways. Stop by Rick Mosley Hair to pick some up for your beach and gym bags today. Aveda’s Sun Care products are a good buy for vacation…or any day! Jennifer Lawrence is one of the many celebrities who have recently embraced the pixie cut. Tired of spending so much time blow-drying and styling your hair each morning? If so, join Jennifer Lawrence, Michelle Williams, Ginnifer Goodwin, Anne Hathaway, Kiera Knightley and the other celebrities who are bravely chopping their locks for a bold, new look. The low-maintenance pixie cut was first made popular in the 1950s and 1960s when Vidal Sassoon gave the look to Mia Farrow. It is now known as one of the salon’s most iconic styles. Recently, the cut is creating attention on runways and streets across the country for those who are willing to try something completely different. Some pixie cuts are as short as a half inch, while others are as long as two to three inches. 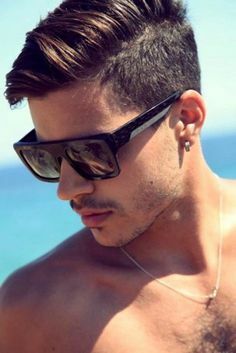 Just wash, add a little texturizer and go for that messy, boyish look. Or, slick it back with shaping wax or control paste for something more sophisticated. This cut is an especially good option if your hair has been over colored or processed. You won’t believe how great it feels to have slick and healthy hair. Check out our Pinterest board to see additional photos. 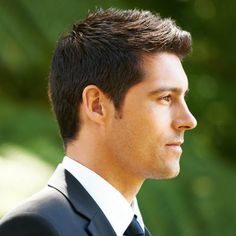 Another similar option is a “disconnected” or “overlay” cut that features dramatic length differences between different sections of your hair. This edgy look varies in shape but is most defined by extreme lengths that are not blended together. Miley Cyrus and Pink have rocked many varieties of disconnected cuts in recent years. Stop in to Rick Mosley hair today to talk with one of our expert stylists about whether or not a pixie cut will look good with your face shape. Then, hold on and get ready for a fresh start to 2014!